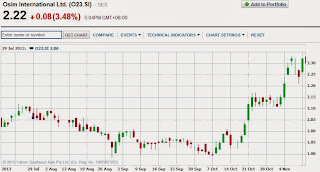 Daniel Loh: Singapore Stock Tip: OSIM is travelling within our expectations! Singapore Stock Tip: OSIM is travelling within our expectations! 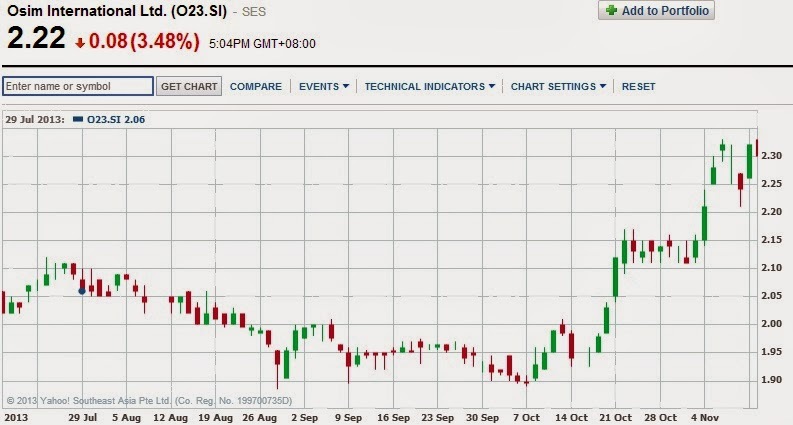 Do you still remembered that we have been recommending to buy this stock when it broke $2? In our latest article, we did mention that Osim most likely will be travelling in the range of $2.20-$2.30. Indeed recently, it touched $2.33 before retracing to $2.21, then it moves to $2.34 before dropping today to end at $2.22. "These few days we predict it should be travelling in between $2.20-$2.30. Technically it has a strong support at $2.10"
$2.20 to $2.30 is really a tricky zone for this stock. Mid term wise (3months), we think you may accumulate the stock at $2.10 should it fall to that price! We are still bullish about this stock.